In case you’re not familiar with the A-Spec trim, it’s a slightly sportier version of the RDX. 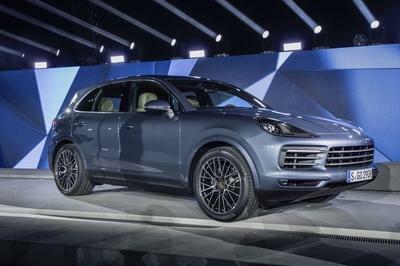 And by slightly I mean that it only has darkened trim in place of the regular model’s chrome, larger 19-inch wheels finished in black, and bigger tailpipes. Graham Rahal Performance took over from there and added carbon-fiber mirror caps and body-colored side skirts. The end result? Well, let’s say that the RDX appears to sit a bit lower than the regular SUV. But that’s about it. 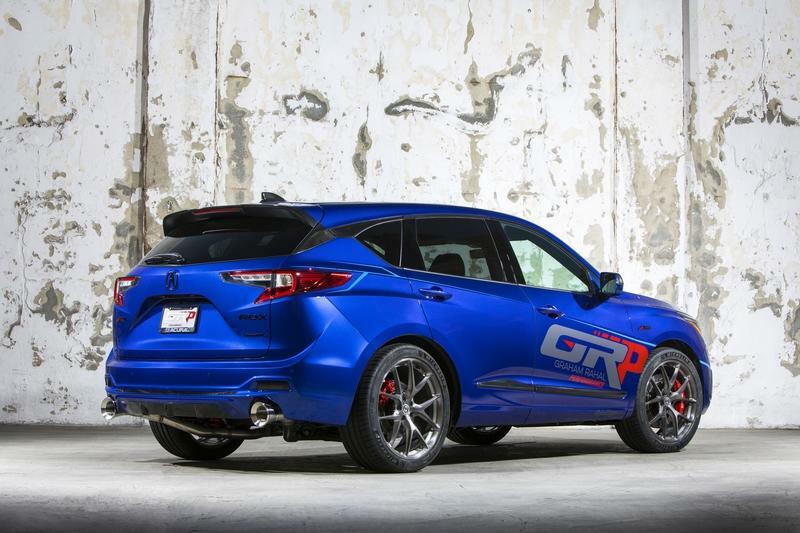 GRP chose an RDX painted in Apex Blue Pearl, a color exclusive to the A-Spec trim, and added its logo in light blue on the engine hood and "Graham Rahal Performance" lettering on the front doors. The interior is just as subtle. 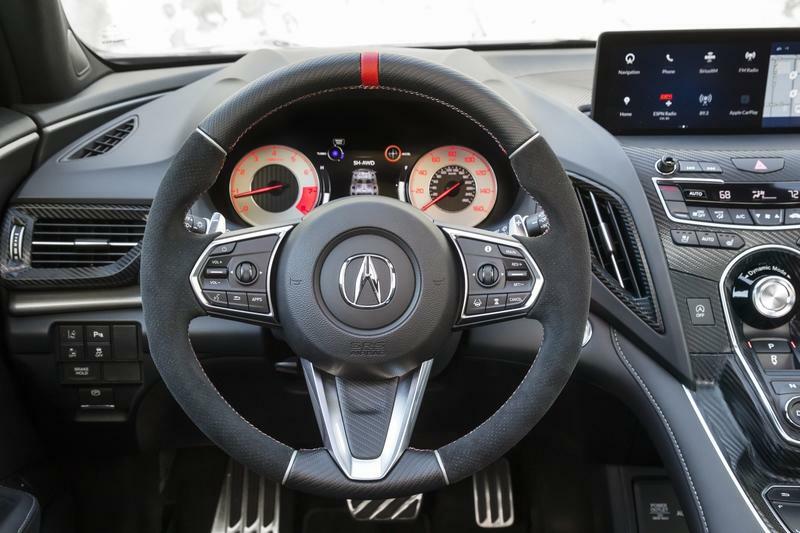 In addition to the metal trim and silver-ringed gauges with red lighting that come with the A-Spec, GRP added carbon-fiber accents on the center console and A/C vents, as well as a custom steering wheel. The latter was designed by racing driver Max Papis of MPI innovations and features carbon upper and lower rim sections, Alcantara grips, and red stitching. GRP’s RDX retains the A-Spec’s unique black leather sport seats with Ultrasuede accents instead of the available red leather. It’s probably because GRP wanted a sportier look, but I think red leather makes the RDX look far more exotic. 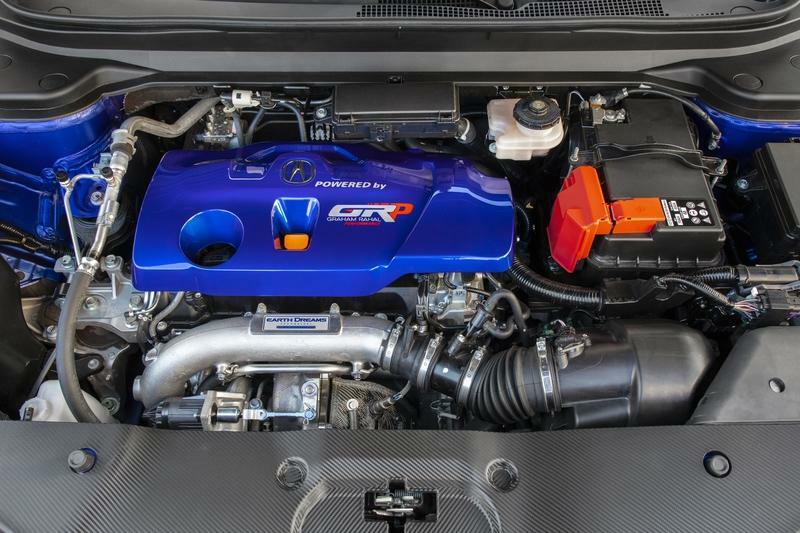 While it’s not exactly impressive inside and out, the RDX A-Spec by GRP shines under the hood. 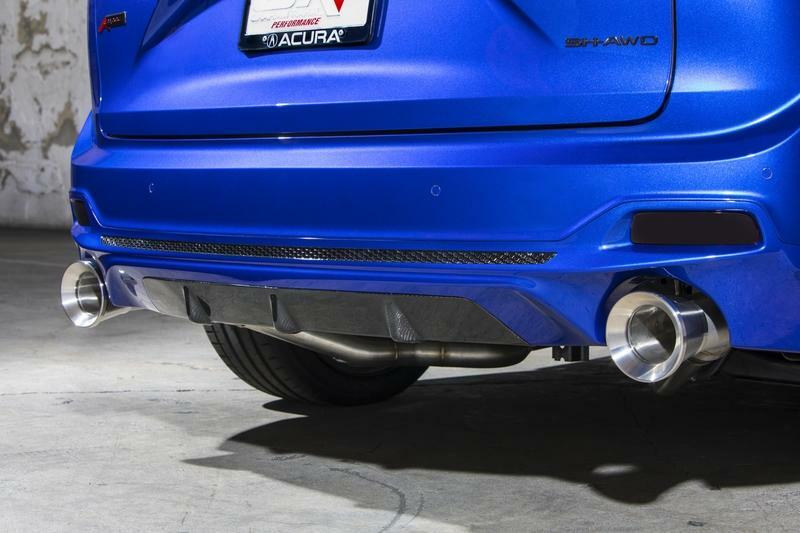 Using its experience in tuning the Civic Type R, GRP upgraded the RDX’s factory 2.0-liter turbo engine with a new turbocharger, intake and exhaust manifolds, and downpipe. It also commissioned PRL Racing to make a custom intercooler and intake setup, while it developed its very own lightweight cat-back exhaust system. A custom ECU map from KTuning ensures that everything works in harmony. What does it all mean in terms of output? 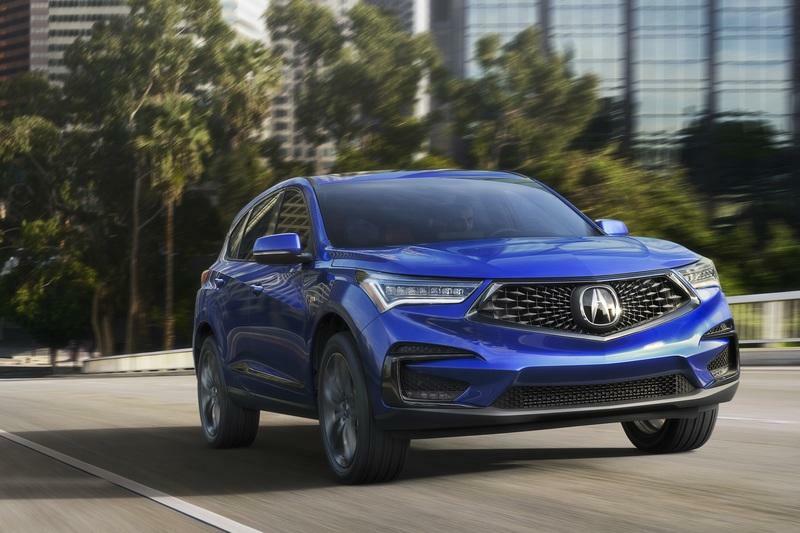 This RDX comes with 345 horsepower and 370 pound-feet of torque on tap, which accounts for a 73-horsepower and 90-pound-foot increase over the standard A-Spec model. That’s quite impressive! 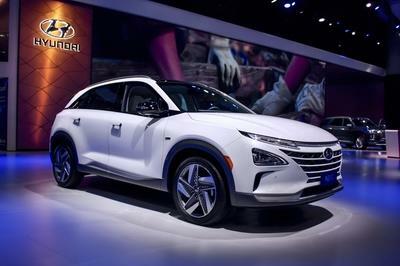 All that oomph hits the wheels through Acura’s recently introduced 10-speed automatic and the torque-vectoring Super Handling All-Wheel Drive system. 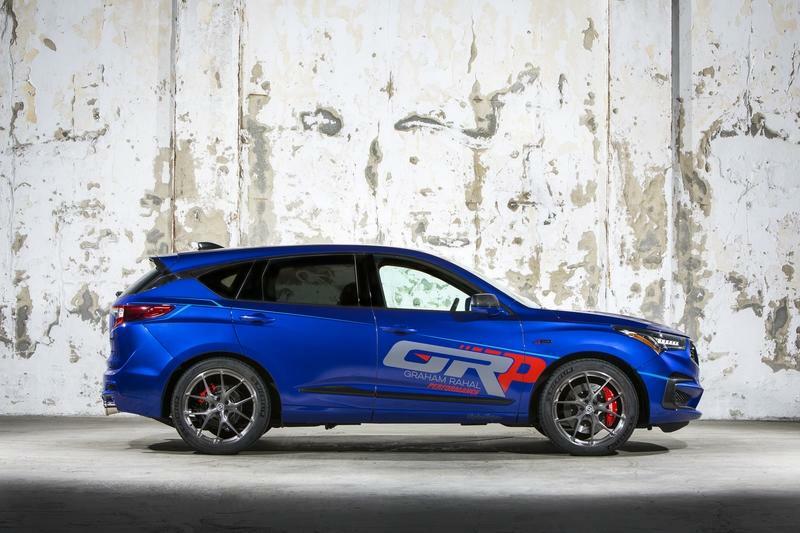 GRP also meddled with the chassis by adding custom Eibach sport springs that lower the RDX by two inches and improved stopping power via six-piston StopTech brakes. The lightweight HRE P101 wheels in 21-inch diameter are wrapped in Michelin Pilot Sport 4S tires for increased grip. While it’s not as impressive as most SEMA concepts inside and out, Graham Rahal’s RDX stands out when it comes to performance. 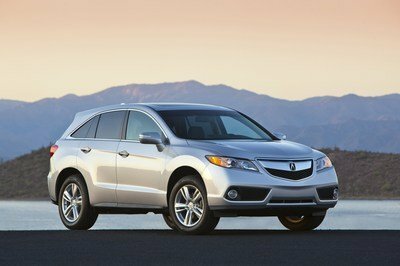 The upgraded drivetrain boasts the kind of extra power I’m sure many Acura customers want to get from the luxury company. If I were Acura, I’d start a cooperation for a special edition model with the racing team. 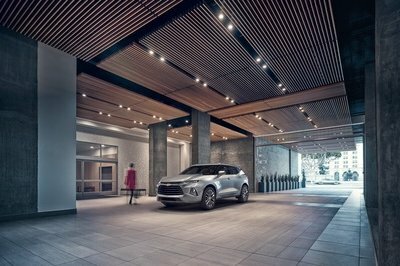 "As owners of an Acura dealership, we know how strong the new 2019 RDX is out of the gate. I didn’t want to mess with a good thing," said Graham Rahal. 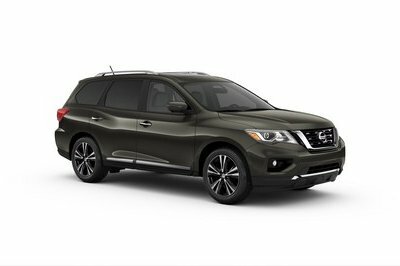 "Sometimes, subtle enhancements can make a big difference in the look of a vehicle. And that’s exactly what my team and I aimed for with this GRP RDX."